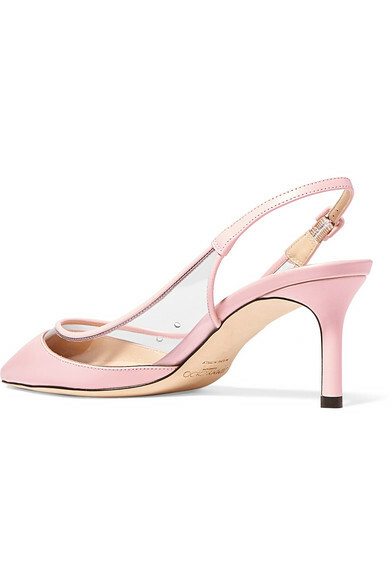 Jimmy Choo's 'Erin' pumps have been expertly made in Italy from baby-pink leather. They're framed with clear PVC and have a low vamp and pointed toe - both create the illusion of longer legs. 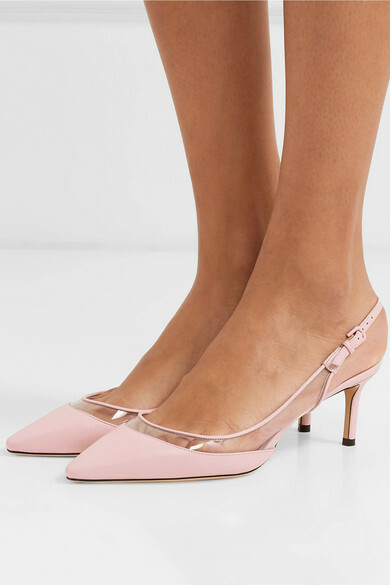 The 60mm kitten heel is the perfect height for long receptions or lunches. Shown here with: Petar Petrov Blouse, Michael Lo Sordo Shorts, STAUD Tote, Leigh Miller Earrings.